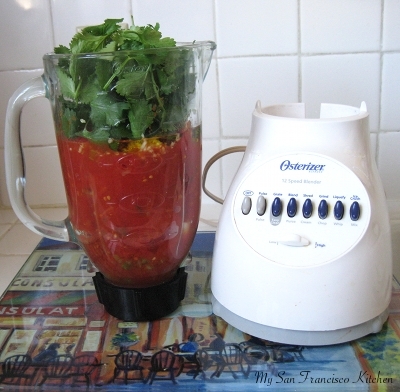 Chop the green onions and add only the white parts to a blender. 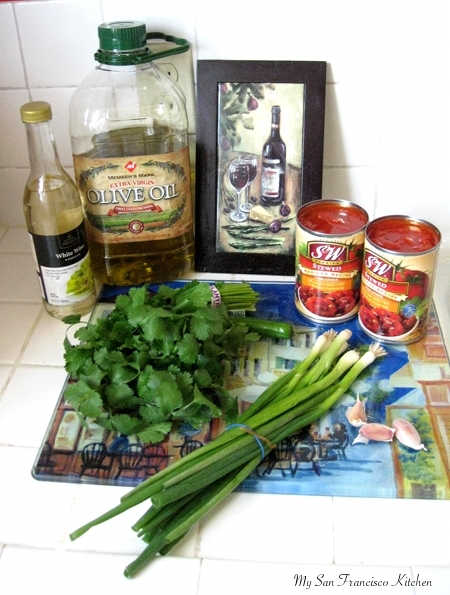 Add ½ serrano pepper, tomatoes, minced garlic, vinegar, olive oil, pepper to taste and cilantro. 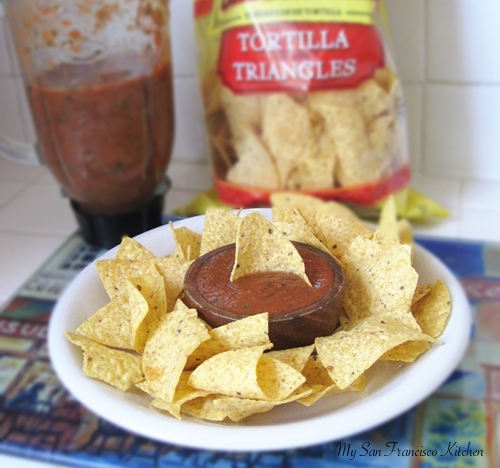 Pulse the blender a few times until you achieve desired texture (for smoother salsa, purée it for 10 seconds). 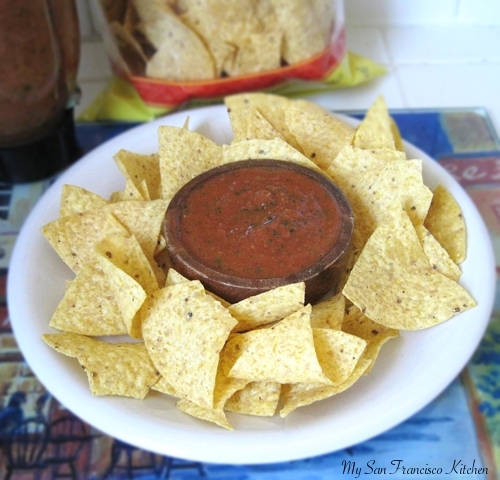 This entry was posted in Appetizers, Mexican and tagged cilantro, garlic, salsa, tomatoes. ← Toast to the Red Carpet GIVEAWAY! Yum! Looks delish! 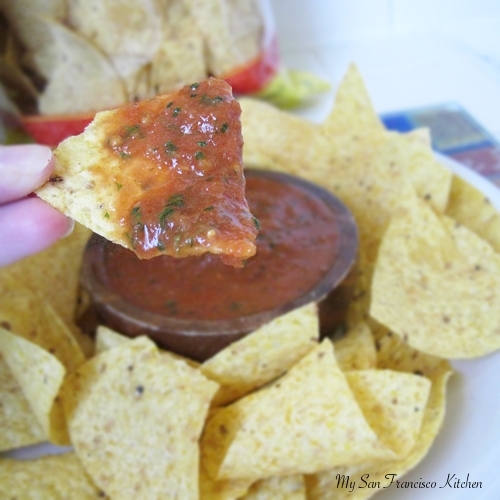 I love salsa and homemade is the best! !